Pheasants Forever and Quail Forever’s National Pheasant Fest & Quail Classic, the nation’s largest upland-themed event, will be held February 14, 15 & 16, 2020, at the Minneapolis Convention Center in the Twin Cities. The three-day celebration of upland habitat, hunting and conservation annually draws more than 20,000 supporters and will be presented by Federal Premium Ammunition. Minnesota is ground zero for Pheasants Forever, the nonprofit wildlife conservation organization having formed in Saint Paul in 1982. The Kandiyohi County Chapter of Pheasants Forever was the first local affiliate for the budding group in 1983. Today, there are 72 Pheasants Forever chapters, 2 Quail Forever chapters and more than 22,000 Pheasants Forever and/or Quail Forever members in Minnesota, making it the group’s largest membership footprint by state. Gov. 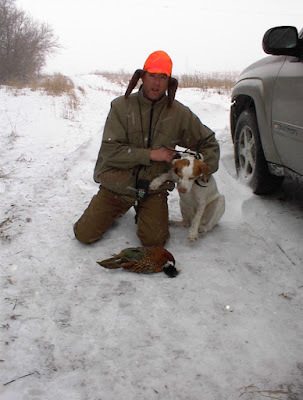 Kristi Noem’s pheasant nest predator bounty program took another step toward fruition March 1. On that date, the state Game, Fish and Parks Commission accepted proposals to create the program and to allow traps on public lands until August. 31 every year. The bounty program proposal says species eligible for the $10 bounty are raccoons, skunks, opossums, badgers and red fox. Also, only South Dakota residents could collect bounties. “We’re excited about the program,” said wildlife damage specialist Keith Fisk. Still, Fisk had to answer a couple of tough questions before the Commission accepted the proposal. Scott Phillips, for example asked what will stop someone from collecting the tails off of roadkills in order to collect bounties. “Hopefully, that doesn’t happen,” Fisk said before going on to explain that to get paid, a person must sign a legal affidavit stating that they killed animal whose tail they’re turning in. Commission chairman Gary Jensen asked Fisk to explain who will be paying for the bounties and how much the Department expects to spend on the program. Fisk said the money will come from hunting licenses and probably won’t cost more than around $400,000. Still it’s an educated guess, he said. Tracking the benefit of the bounty program, too, likely will prove difficult Fisk said. There’s science on both sides of the issue he said pointing to a South Dakota study in the 1970s that showed trapping could have an impact on localized areas and a more recent GFP study that showed mixed results. “In my opinion it’s going to be very difficult to ascertain the benefit of the program,” Fisk said in reference to it’s helping pheasants. Helping pheasants, though, is kind of beside the point, Department Secretary Kelly Hepler said. More than anything he said he want people to see the program as being about getting more people out in the field and trapping. Some local wildlife is feeling the brunt of February's storms. Small animals that don’t hibernate such as pheasants are often most impacted by the weather, especially with large snow drifts such as those from last weekend’s storm. 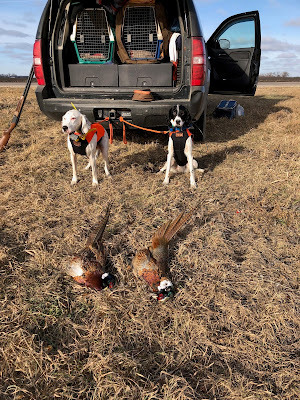 Coming into February, pheasants were in good shape due to a mid-winter warm spell, but a polar vortex and a lot of snow has turned that around. Heavy snowfall will cluster birds and increase competition for food, said Chris Fritz, Goodhue County Pheasants Forever vice president and habitat coordinator. If southern Minnesota doesn’t get some melting soon, roosters could begin killing hens in a fight for food. “If we haven’t already, we’re going to start losing hens to predation and self-destruction,” he said. For an already struggling pheasant population, that’s bad news. Most of the area is already considered “very poor” for pheasant hunting by the Minnesota Department of Natural Resources, with less than 10 pheasants sighted per square mile during last year’s annual roadside survey. The closest area for "good" or "fair" pheasant hunting is in Nicollet County, which had over 49 birds per square mile in some western spots and between 25 and 49 birds in other spots during last year's survey. In the state’s south central pheasant region, which contains Rice, Steele and Freeborn counties as its eastern border, the pheasant index is down 21 percent over its 10-year average and 71 percent from its long-term average. Animals, including pheasants, do have coping mechanisms for the storms, Minnesota Department of Natural Resources Area Wildlife Manager Jeanine Vorland said. North Dakota's two-day youth pheasant season is Saturday, Sept. 29 and Sunday, Sept. 30. Legally licensed residents and nonresidents age 15 and younger may hunt roosters statewide. Efforts to improve public hunting areas are underway for local Pheasants Forever leaders. The Community Based Habitat Access Program (CBHAP) is up and running in Mitchell, with two sites on board and three more soon to be fully committed, as well. That will amount to 300 acres of public access areas near Mitchell by the end of June, bolstered by the efforts of the CBHAP. The initial goal is for the Mitchell area to have about 4,000 acres implemented in the local program, which aims to improve on the U.S. Department of Agriculture's Conservation Reserve Program, or CRP. Grasslands enrolled in CRP are seen as some of the most important lands needed to help cultivate the pheasant population in the state, and the number of acres enrolled in the program have decreased in recent years, as have South Dakota's pheasant numbers. Dan DeBoer, a Pheasants Forever farm bill biologist based in Mitchell, said they're looking for donations or partnerships with area businesses to fund additional land for the program. "The idea behind it is that the more public access we have, the more hunters we have here in our area and the more money that is spent here with local businesses to help our economy," DeBoer said. Mitchell's program got off to a big start because of the $150,000 commitment made in December by the Mitchell Pheasants Forever chapter, Pheasant Country, which DeBoer estimates will help fund that 4,000-acre goal. The funding provided by the CBHAP is meant to "sweeten the pot," DeBoer said, along with the CRP and walk-in funding provided by South Dakota Game, Fish & Parks. "The big advantage is that we provide another financial boost to that program to allow landowners the chance to have it make sense for them," DeBoer said. 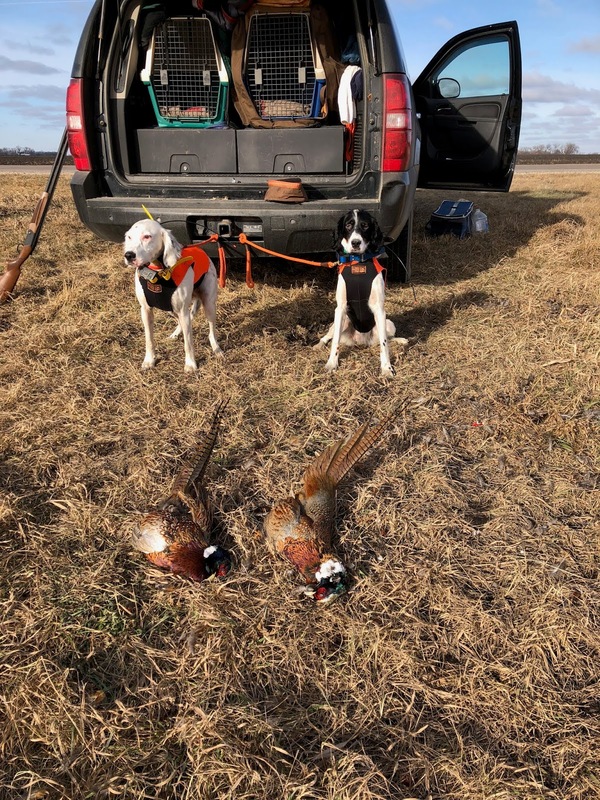 The program is based off the Aberdeen Pheasant Coalition, which has committed $100,000 since 2016 for 1,464 acres of public walk-in hunting areas. DeBoer also cited figures from GF&P research, which indicates that for every $1 invested into a walk-in program, $15 returns to the community in local spending. North Dakota’s roadside surveys conducted in late July and August indicate total pheasant and Hungarian partridge numbers this fall are similar to last year, while sharp-tailed grouse numbers are down. R.J. Gross, upland game management biologist for the North Dakota Game and Fish Department, said the survey shows total pheasants observed per 100 miles are down 2 percent from last year. In addition, broods per 100 miles were unchanged, while the average brood size was up 27 percent. The final summary is based on 278 survey runs made along 101 brood routes across North Dakota. “Even though survey data suggests pheasant production was certainly better than last year, hunters will still notice the lack of production from 2017 in the overall population,” Gross said. Statistics from southwestern North Dakota indicate total pheasants were down 32 percent and broods observed down 29 percent from 2017. For every 100 survey miles, observers counted an average of six broods and 45 pheasants. The average brood size was 5.2 chicks. Despite the population decline, Gross said the southwest still holds the most pheasants in the state. Results from the southeast show birds are up 63 percent from last year, and the number of broods up 77 percent. Observers counted five broods and 40 birds per 100 miles. The average brood size was 5.8. Gross said while some areas of the state show a large increase in percentages from last year, such as in the southeast, it is important to keep in mind this is based off a low population in those areas in 2017. Statistics from the northwest indicate pheasants are up 9 percent from last year, with broods up 4 percent. Observers recorded three broods and 26 pheasants per 100 miles. Average brood size was 6.5. The northeast district, generally containing secondary pheasant habitat with lower pheasant numbers compared to the rest of the state, showed two broods and 19 pheasants per 100 miles. Average brood size was 5.8. Sharptails observed per 100 miles are down 49 percent statewide from 2017, while partridge are up 7 percent. Despite increases in sharptail lek counts this spring for eastern North Dakota, brood survey results show statewide declines in number of grouse and broods observed per 100 miles, and a slight decline in average brood size. Observers recorded 0.8 sharptail broods and 6.8 sharptails per 100 miles. Average brood size was 4.55. Although partridge numbers have shown a slight increase, Gross said the majority of the partridge harvest is incidental while hunters pursue grouse or pheasants. Partridge densities in general, he said, are too low to target. Observers recorded 0.4 partridge broods and 4.4 partridge per 100 miles. Average brood size was 7.03. The 2018 regular pheasant season opens Oct. 6 and continues through Jan. 6, 2019. The two-day youth pheasant hunting weekend, when legally licensed residents and nonresidents ages 15 and younger can hunt statewide, is set for Sept. 29-30. The 2018 grouse and partridge seasons open Sept. 8 and continue through Jan. 6, 2019.